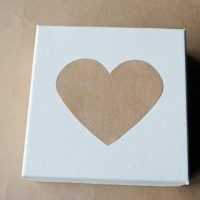 Tags: Christmas, wedding favour bags. 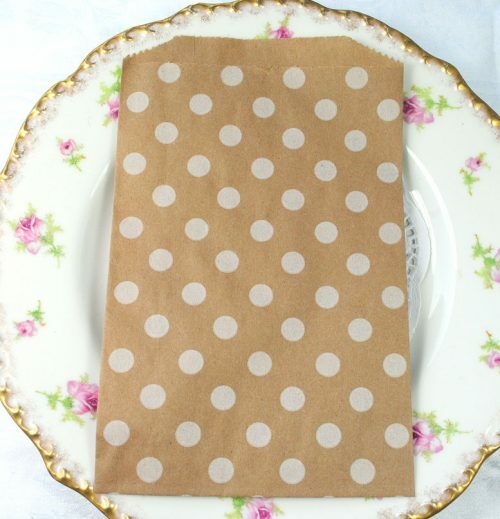 We love these Kraft dotty wedding favour bags, they are so pretty for holding favours and gifts. 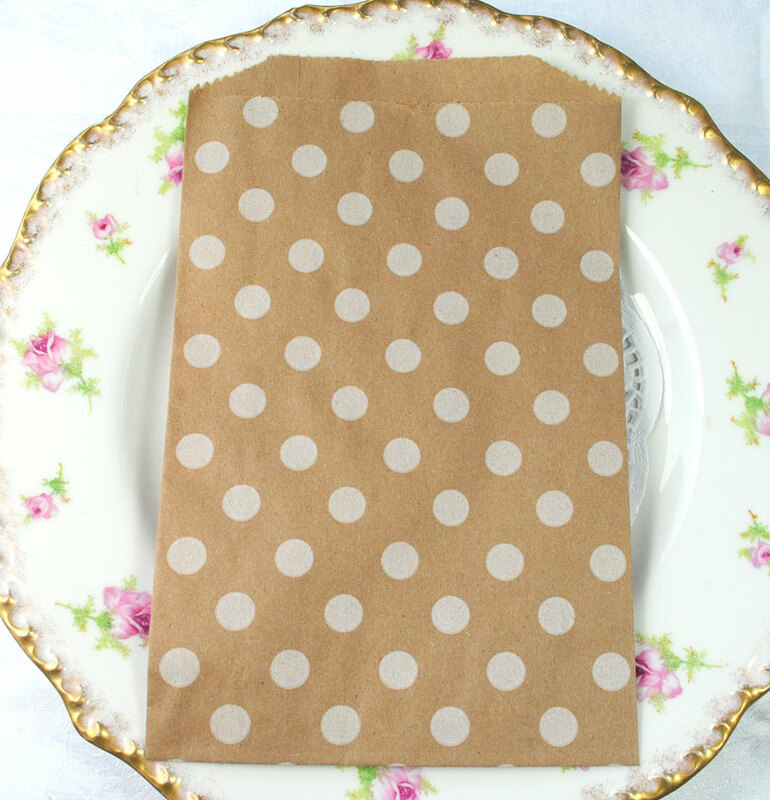 They are made from quality Kraft paper which is scattered with cream polka dots. Each favour bag measures 12.7 x 20 cm. 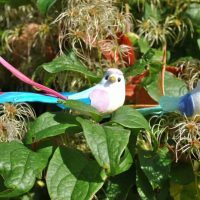 They come as packs of 10. 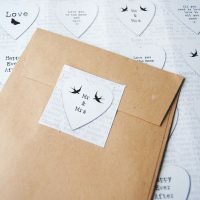 These dotty favour bags look great with our recycled heart stickers sealing them!